The last of a dying breed. 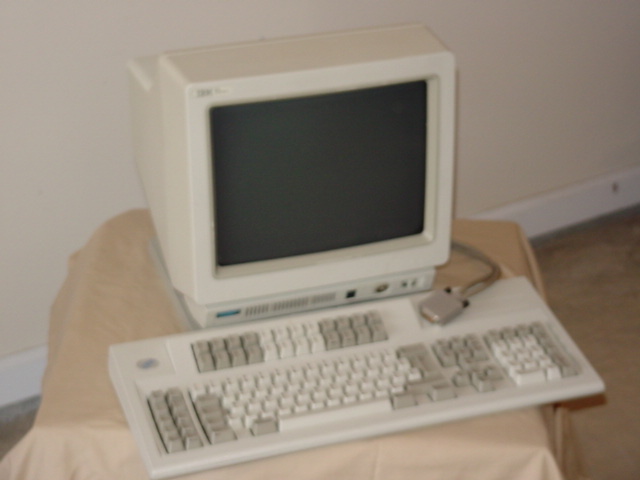 The InfoWindow series 3476 is a 14-inch, flat screen, smudge-resistant, monochrome monitor that attaches to the IBM System/36, IBM System/38 and IBM AS/400 processors. The IBM 3476 14-inch monitor has an actual viewable screen size of 11.4 inches when measured diagonally. The IBM 3476 attaches remotely to these processors via the appropriate IBM 5294, 5394, 5494 and compatible remote control units. The unit you recieve may have a green or amber screen dending upon availabilty.